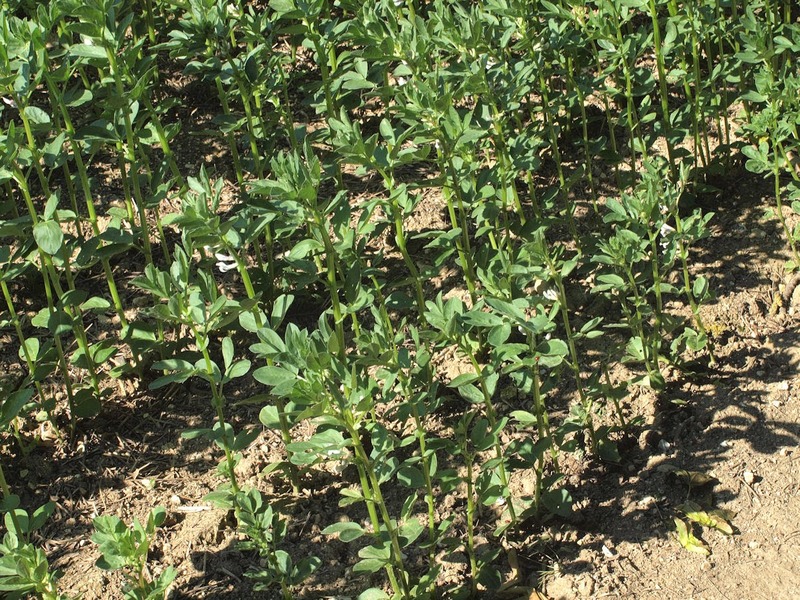 Banstead Botany Blog: What makes me angry, I - Beans! What makes me angry, I - Beans! Not beans as in food but their cultivation, at least in the Banstead area which I suspect is pretty representative of most farms elsewhere. 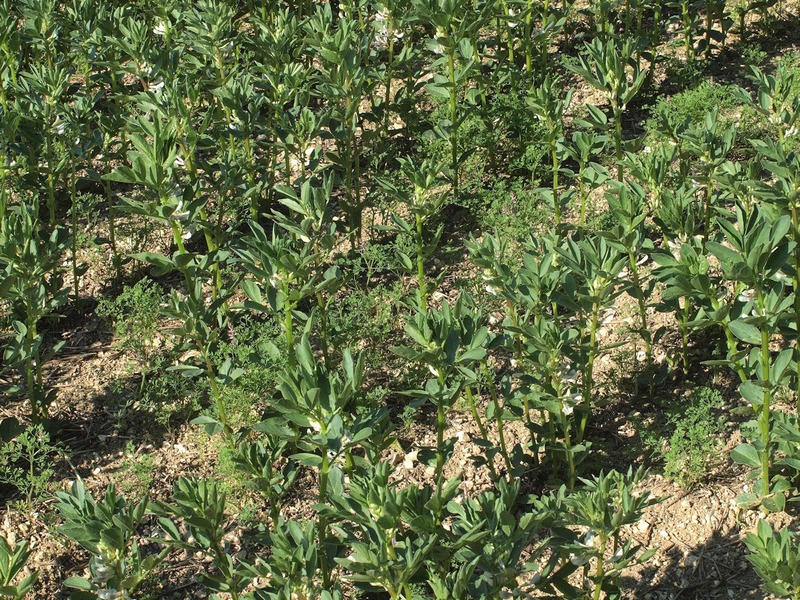 The picture above shows a growing crop of Broad Beans. The average gardener would be doing well to have such weed- (and insect-) free rows of plants. These are however not in a garden or allotment but are part of a large field of the crop in Banstead. I have been walking the edge of this field for years and this is the culmination of many years application of herbicides to the field until they have successfully eliminated the vast majority of weeds, the second picture show what is probably the weediest area with just a few plants of a Fumaria sp. I have addressed this subject before in this blog and expressed my sadness that agricultural success is associated with the loss of all ground cover and my anger that the associated pollution is largely uncontrolled. Such conditions obviously has an impact on the insect population and for those that survive, the recent insecticide application has probably done for them. It is noticeable that there are few bees pollinating the flowers in this field today. Of course the response is that we need our farmers to be as efficient as possible in order to produce cheap food for the supermarket or for cattle feed. I suspect that the majority of the population would agree, again something that saddens me but then I am biased. BUT this is not enough for farmers and politicians. A couple of weeks ago the BBC ran this story, it beggars belief!!! Giving them wildlife conservation grants to allow them to kill plant and insect life destabilize the soil all because the unwitting plants provide a bit of nitrogen into the ground that will save the farmers money on fertilizer. To requote from the BBC: "We think including this measure is very positive for the environment" Andrew Clark, NFU. Well they would wouldn't they? The whole thing is made worse when you read this sort of report. Angry, moi? 2) Wait for this.... they were not recently sprayed with insecticide but a defoliant so that the plant itself would go black and die making the beans easier to harvest. Now, I think this man knew what he was talking about. If correct, what another very fine example of nature friendly organic farming. The response is that we need our farmers to be as efficient as possible in order to produce cheap food for the supermarket or for cattle feed.